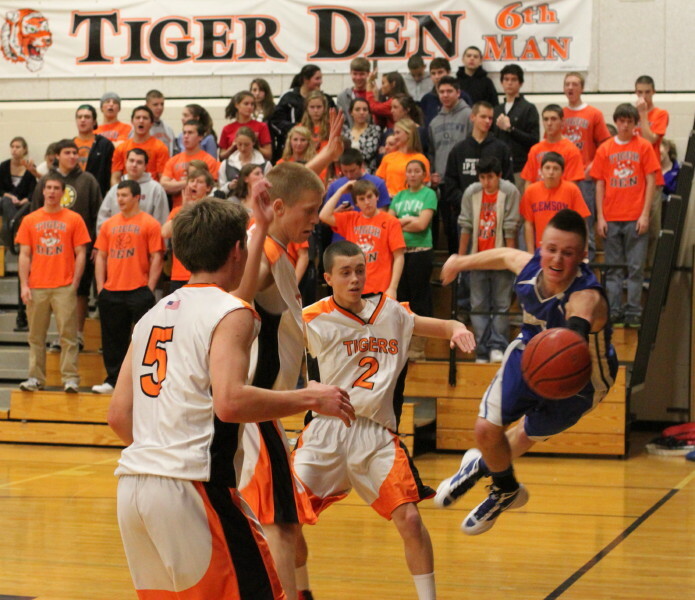 Tyler Wade (17 points) dives after a ball going out of bounds. 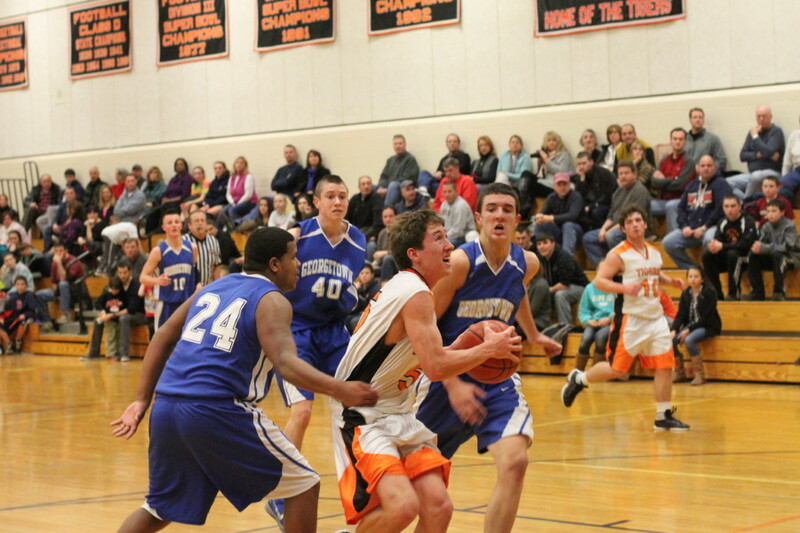 (Ipswich) Ipswich halted a five-game losing streak with a never-trail, 61-41, win over Georgetown on Friday night at Ipswich in Cape Ann League action. The Tigers (1-3 CAL / 2-7 overall) were quickly off 5-0 on an Erik Fyrer drive and a Louis Galanis triple and never looked back. 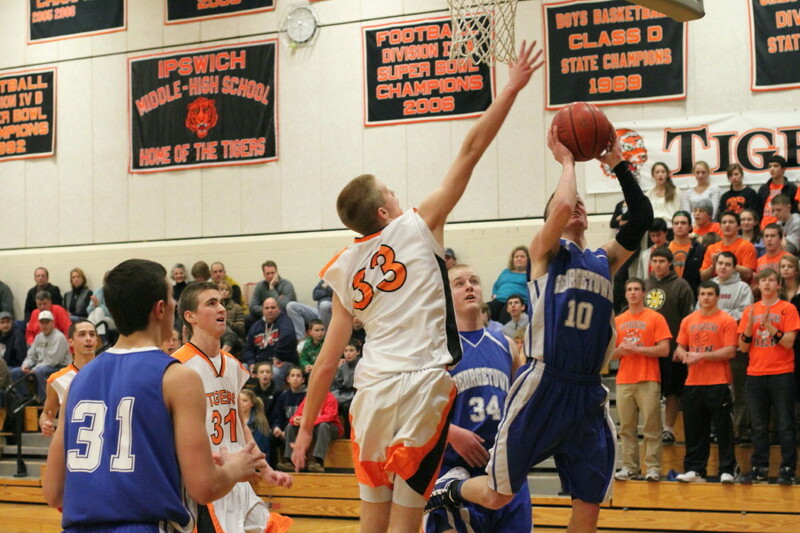 Ipswich boosted the lead to sixteen (37-21) three minutes into the third quarter on three straight Erik Fyrer hoops. The Royals, however, have Tyler Wade and he led a G’Town response back into contention with an old-fashioned three, a layup, and an assist on Pat Bjork’s layup. 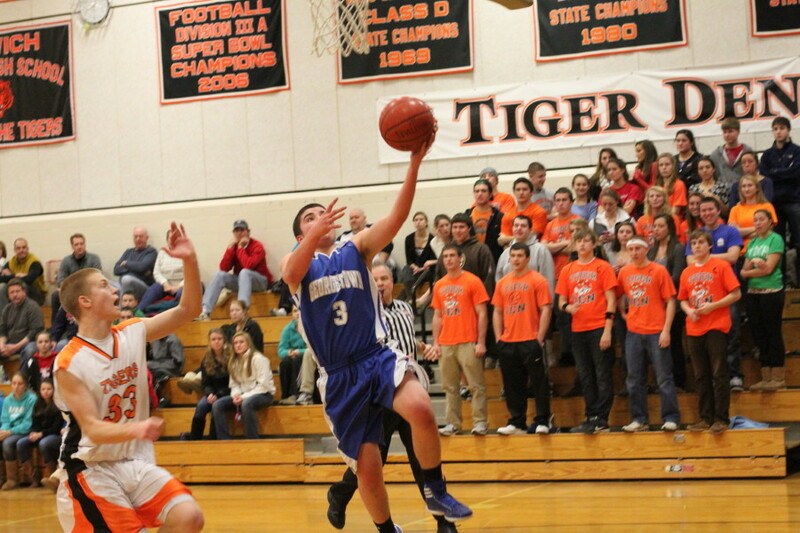 That run left the Royals behind, 37-28, with two minutes left in the third quarter. The next five minutes of play should be on the Ipswich season highlight film. Nice passes, triples, and assisted baskets all showed up as the Tigers dazzled with a 17-2 run and took the doubt out of this one, 54-30, with 4 ½ left. 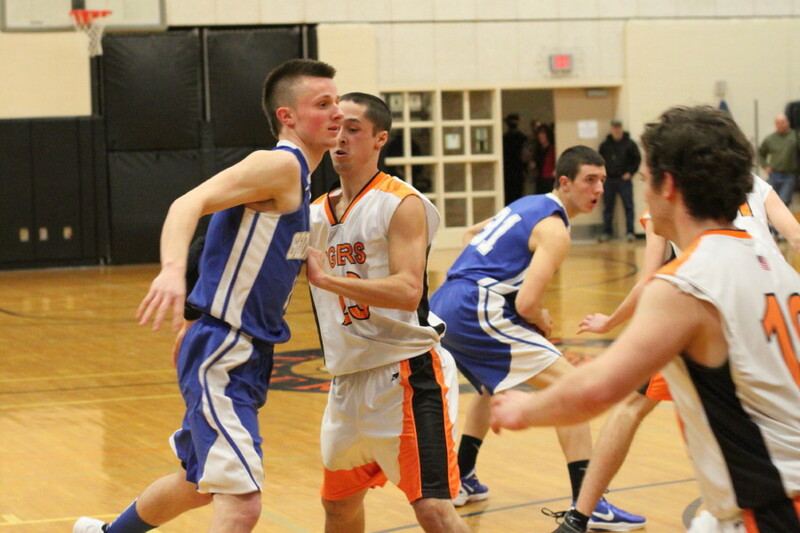 Mike Scola and Dan O’Flynn handed out the assists while Brenden Gallagher registered two triples during this surge. Brenden also brought back the Bob Cousy (or is it Rondo?) 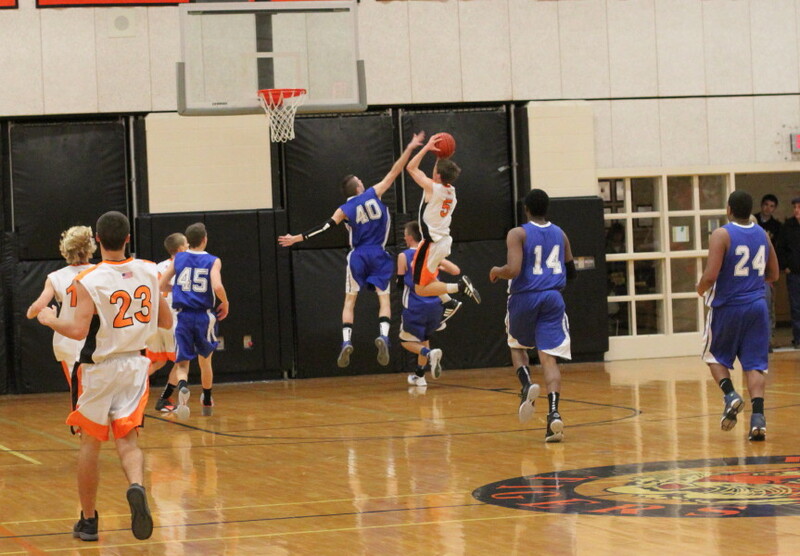 flashbacks with a behind-the-back pass that sent Dan in for a layup he was fouled on. Louis Galanis takes a turn at shadowing Tyler Wade. For Georgetown (0-4 CAL / 3-6 overall), it was a frustrating fourth consecutive loss. Tyler Wade (17 points) was kept busy with a series of Tiger defenders and frequently set up teammates for shots that didn’t fall often enough. Equally excruciating for the Royals was missing seventeen of the thirty-three free throws they took. GHS coach Mike Rowinski’s frustration boiled over two minutes into the second half when he pulled all five starters off the floor. 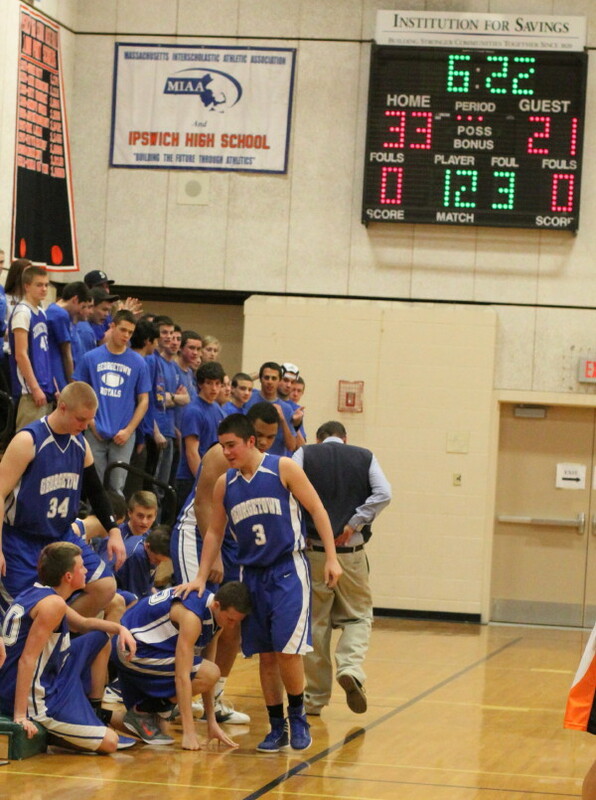 I saw Ipswich in their overtime loss at Amesbury earlier. 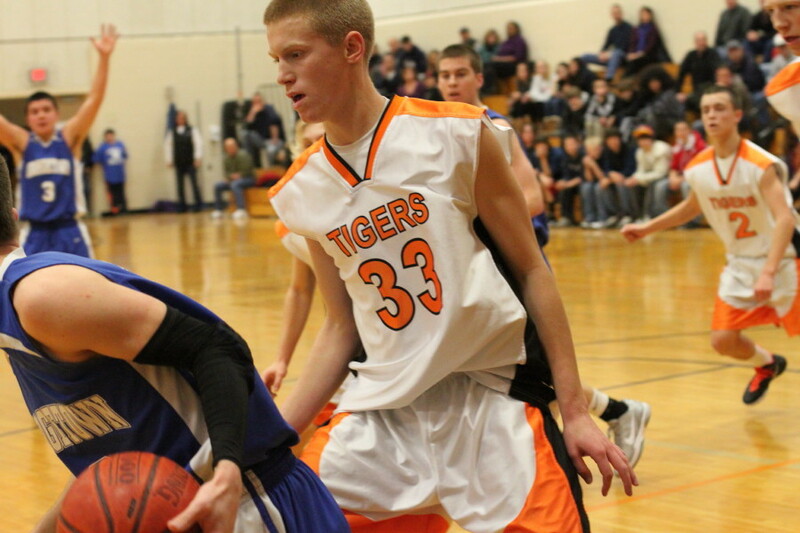 The most improved player since then was Erik Fyrer. 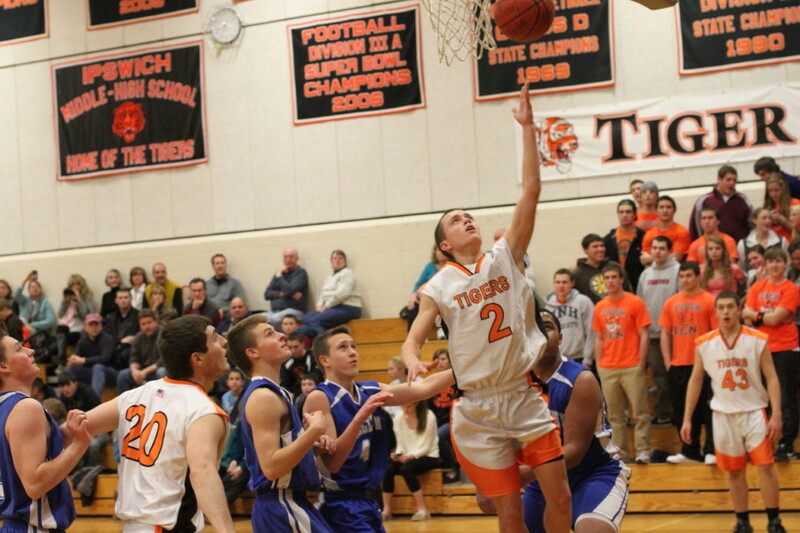 The 6-4 sophomore was foul prone and frustrated at Amesbury. 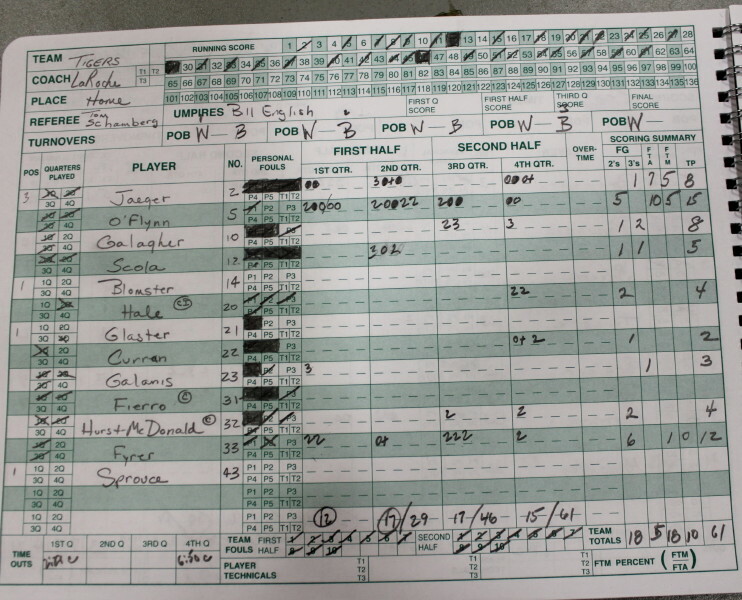 In this one, he fouled less while blocking and rebounding more. 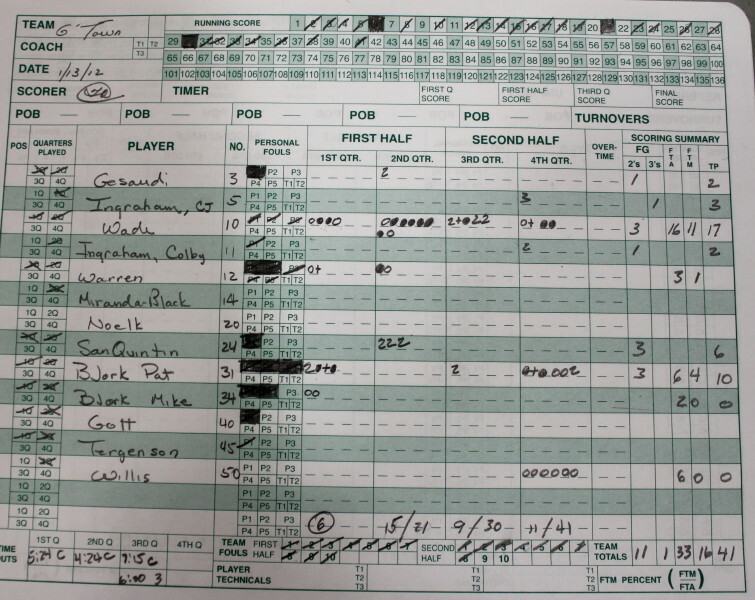 He showed a nice touch around the basket collecting twelve points. 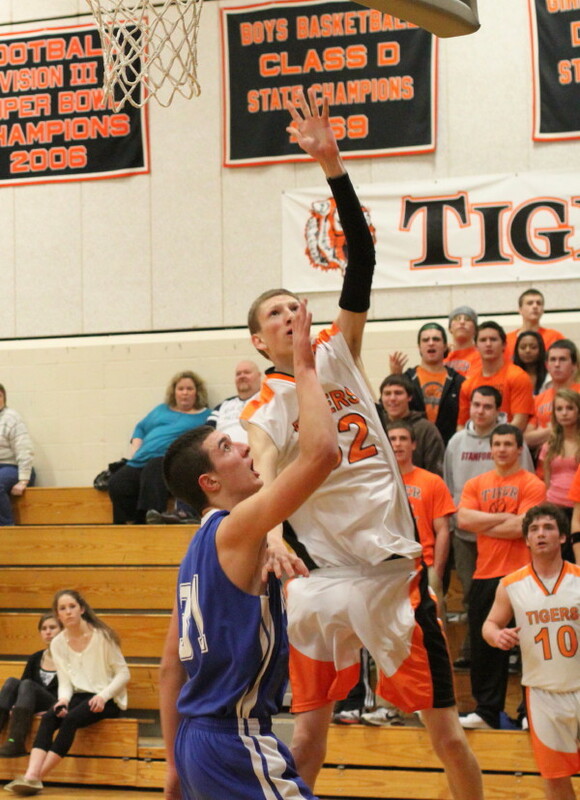 Guard Dan O’Flynn (15 points) led the Tigers in scoring getting all his points on layups and free throws. 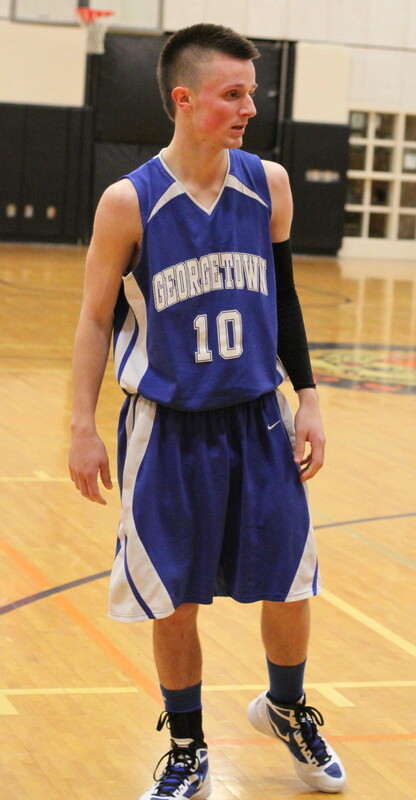 The two teams will meet again at Georgetown (January 30th) in a nonleague game.